CorvetteForum - Chevrolet Corvette Forum Discussion - AND NOW - HOw do those Jet engines REVERSE upon landing? AND NOW - HOw do those Jet engines REVERSE upon landing? I know some planes have those shields that re- direct flow to brake. I see now the Jet Engines go in Reverse. the engine doesn't go backwords. they open a form of waste gate which bypasses sending the air out the back of the jet and reroutes it out the sides. this sortof blocks the thrust creating a wall to block forward motion and slowing the plane. im no plane go so im sure I didn't get terminology right and the experts will be along soon. it’s actually very simple, once the plane lands there is a “weight on wheels” switch that unlocks the reverse thrust mechanism. In the cockpit, there is a small set of levers forward of the larger thrust levers. When we land the aircraft, the weight on wheels switch unlocks the thrust reverser. They don’t deploy until the pilot grabs the small set of levers in front of the larger thrust levers and pulls the reverse thrust levers backwards. 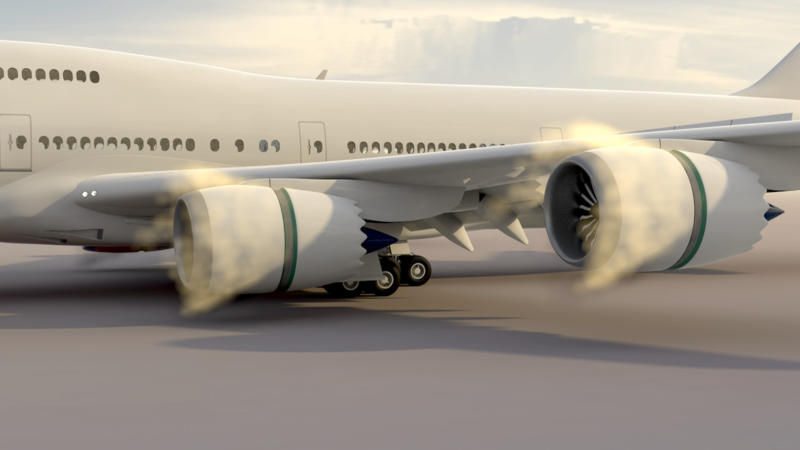 When we deploy the reverse thrust, it doesn’t actually reverse the thrust a lot, but it does redirect the forward thrust out the sides of the engines through those doors that become exposed as the cowling transits rearward. 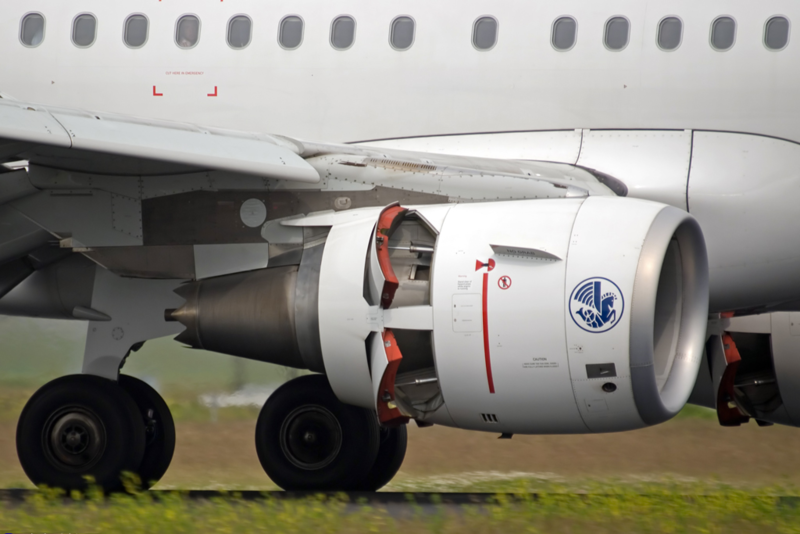 Modern turbofan engines put out a lot of thrust, even at idle, so by redirecting thrust out the sides instead of the back, we reduce the forward momentum the engines provide, as we attempt to slow the jet down. On a normal landing, the process of stopping the jet is provided by a few systems working in conjunction and sequentially with each other. The normal sequence is once the plane touches down, the speed brake/ground spoilers deploy (small flaps on the top of the wing. They cause the wing to dump lift. By dumping the lift the weight of the aircraft falls on to the landing gear/ tires where the real braking force is applied. the next step is the thrust reversers are deployed to kill any residual forward thrust supplied by the now idled engines, then the brakes are applied in a smooth constant application. At approximately 80 knots we usually start retracting the reverser and continue braking until the aircraft is at a safe taxi speed. Once off the runway the spoilers are retracted. If you watch the video you will see this sequence. 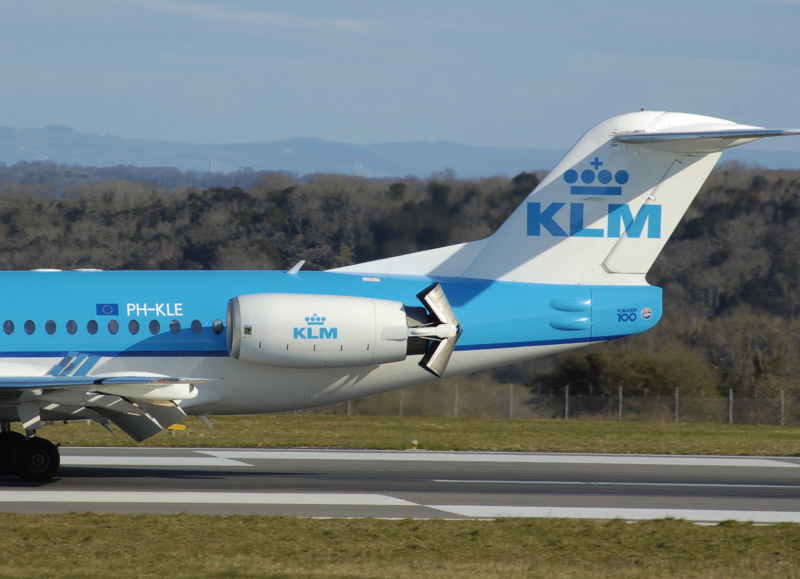 We have seen those "shields" go down behind the engine upon landing, and maybe the cap gives it even more thrust which could be braking or reverse thrust..
Aft part of the cowling slides, thrust reverser has blocker doors so air from the fan goes out the gap you see in the cowling rather than out the back. ‘Old style was the clamshell and u could get those to reverse a plane given u used enuff throttle. If I'm not mistaken I was correct. If I am mistaken, it's just another normal day! On a normal landing, the process of stopping the jet is provided by a few systems working in conjunction and sequentially with each other. The normal sequence is once the plane touches down, the speed brake/ground spoilers deploy (small flaps on the top of the wing. They cause the wing to dump lift. By dumping the lift the weight of the aircraft falls on to the tires., the next step is the thrust reverser are deployed to kill any residual forward thrust supplied by the now idled engines, then the brakes are depressed in a smooth constant application. At approximately 80 knots we usually start retracting the reverser and continue braking until the aircraft is at a safe taxi speed. Once off the runway the spoilers are retracted. If you watch the video you will see this sequence. Don't believe a word they say. It's a well known fact that there's a "reverse" gear on their transmission. Great explanation and simplified. I did not know this. According to FPD, you've now killed everyone on board because you've "unsettled" the aircraft.